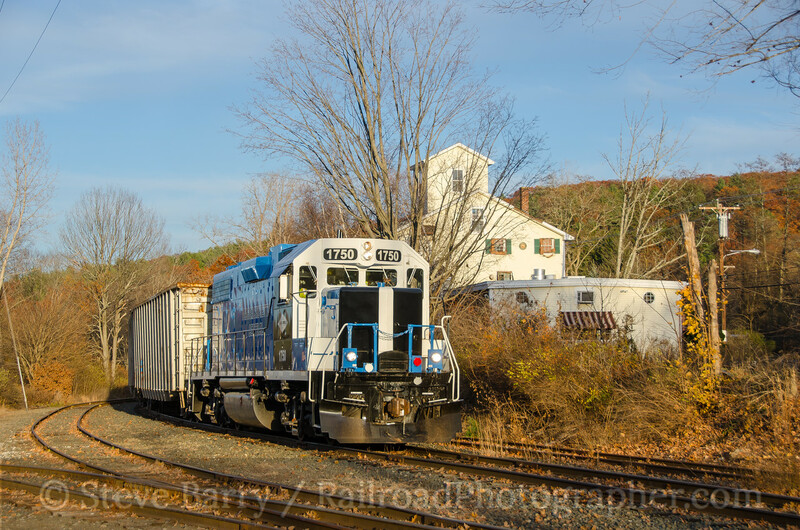 New England is dotted with small shortline railroads, and most have a certain charm about them. 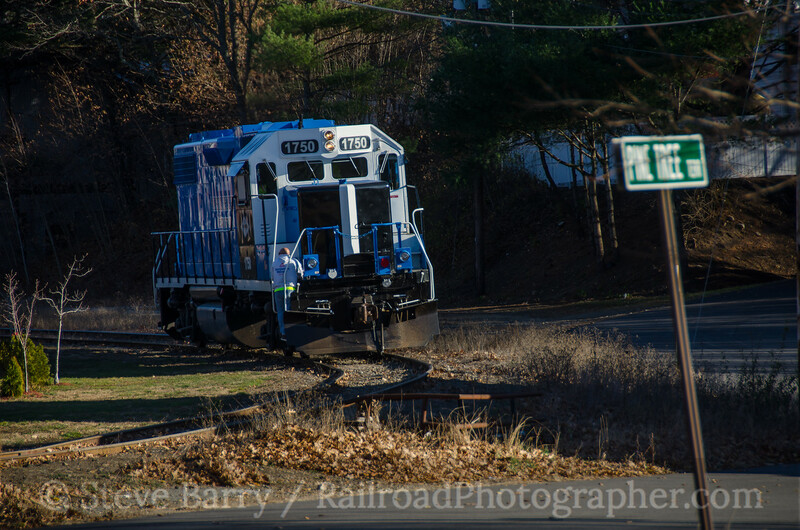 The Massachusetts Central is certainly one of those charming roads. 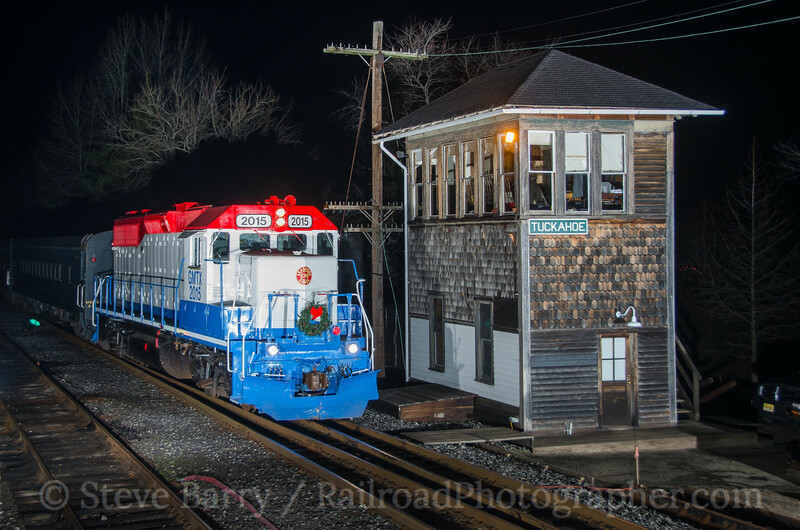 The railroad operates over former Boston & Maine trackage from Palmer, Mass., north through Ware and on to Barre, Mass. 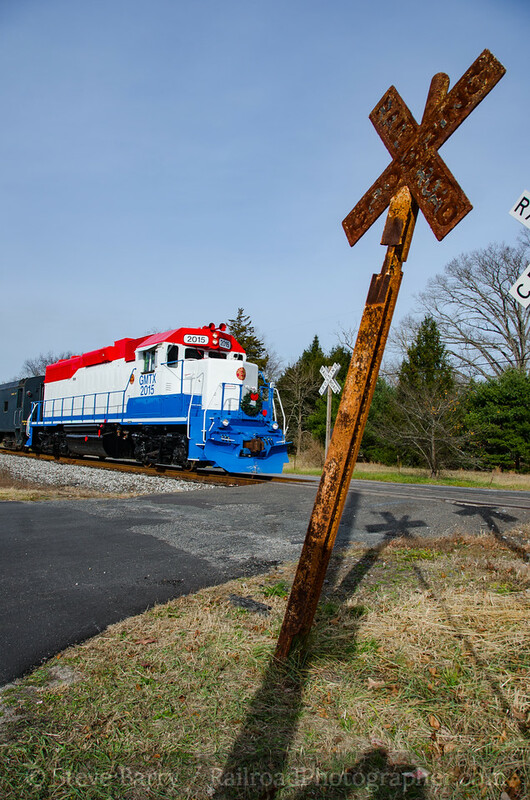 The railroad's primary power, a pair of EMD GP38-2s, pays tribute to the line's heritage, as the paint scheme is inspired by the B&M's "bluebird" scheme. 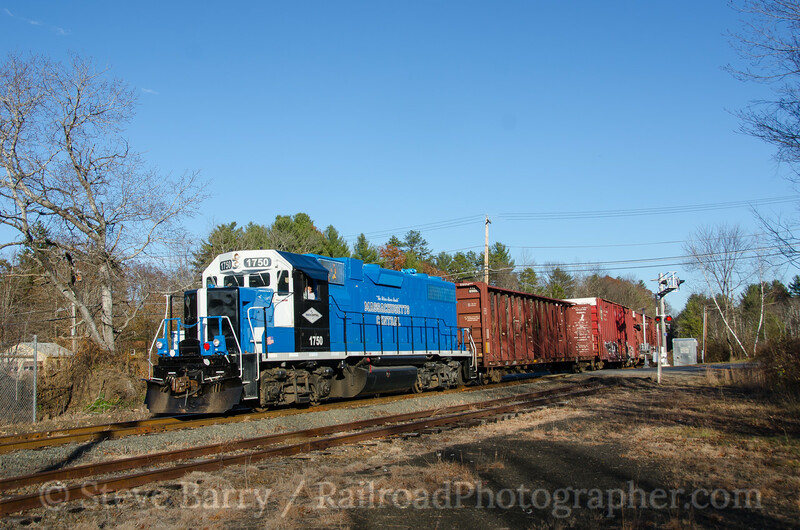 On November 14 I chased the Massachusetts Central (along with Mike Burkhart) from Palmer. 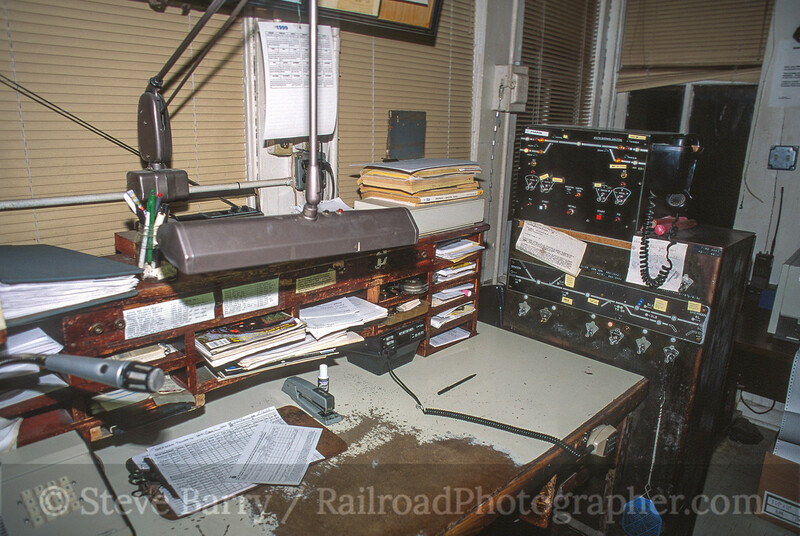 On this day the crew had work to do all the way to Barre (on some days the train only goes as far as Ware), so we got to cover the entire railroad. 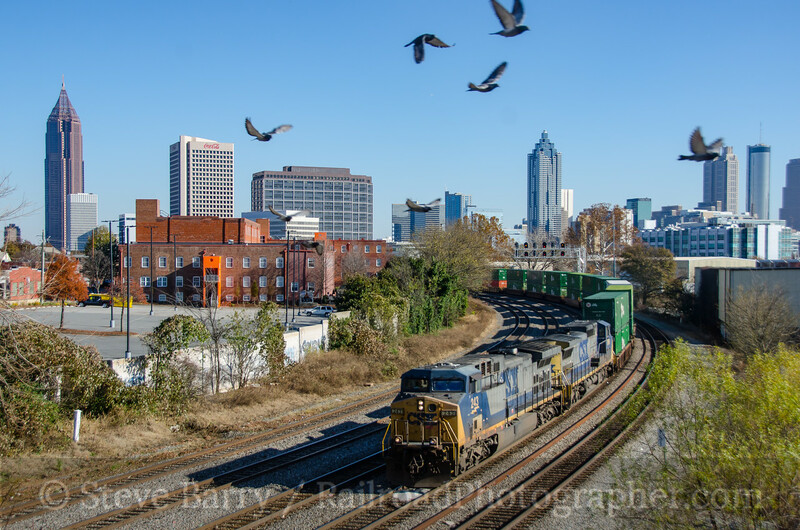 After a crew meeting at 7:30 the first order of business was to go to the CSX interchange in town and pick up the day's train. 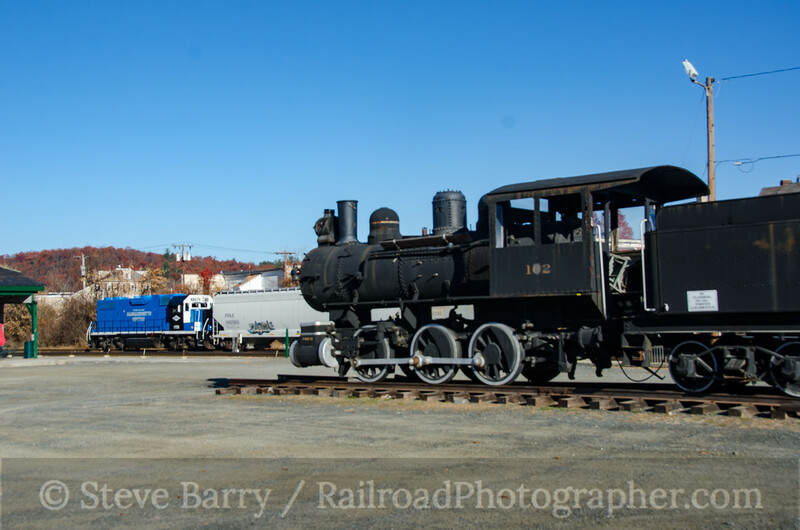 The Steaming Tender restaurant is located in the former Palmer Union Station and has a Porter-built 0-6-0 steam locomotive in the parking lot. 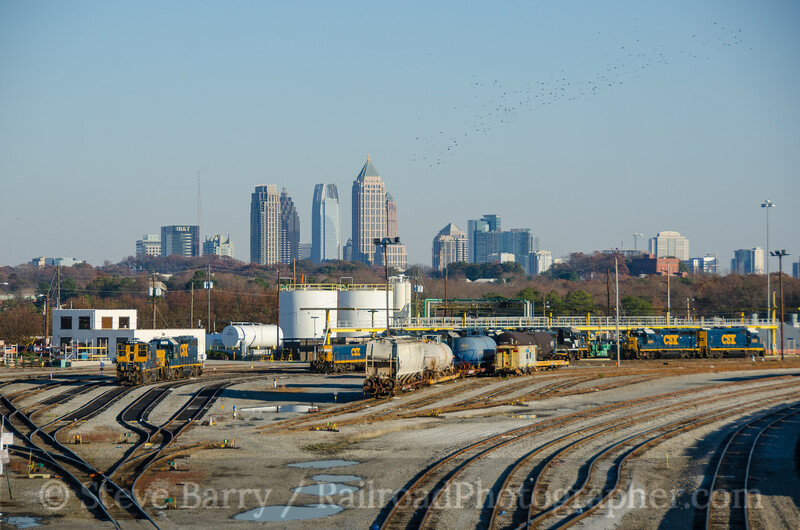 After dropping tank car it had just picked up from CSX at an industry in Palmer, the train proceeded north. The line twists and turns on the outskirts of Palmer, crossing a marsh adjacent to Forest Lake. 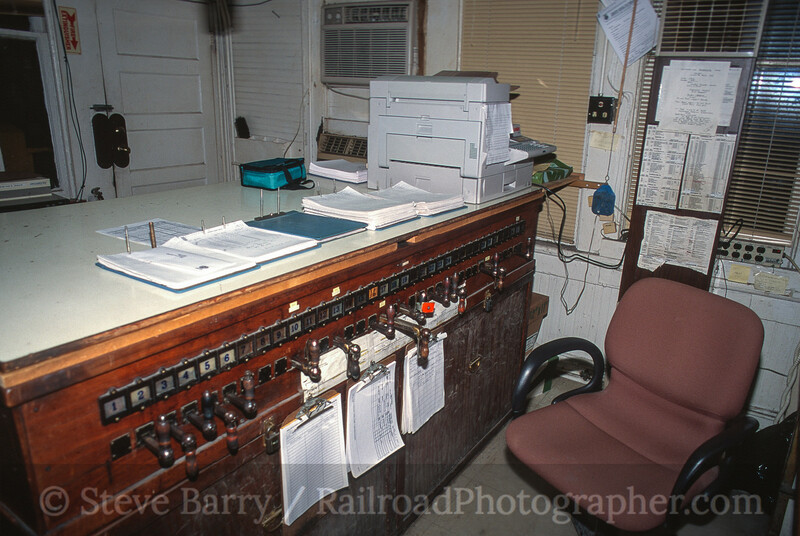 Next up on the switch list was a transload terminal on the Palmer-Ware border. The low winter sun put everything in shadow here, so we skipped it and headed into Ware, where there is an industry that gets plastic pellets in covered hoppers. 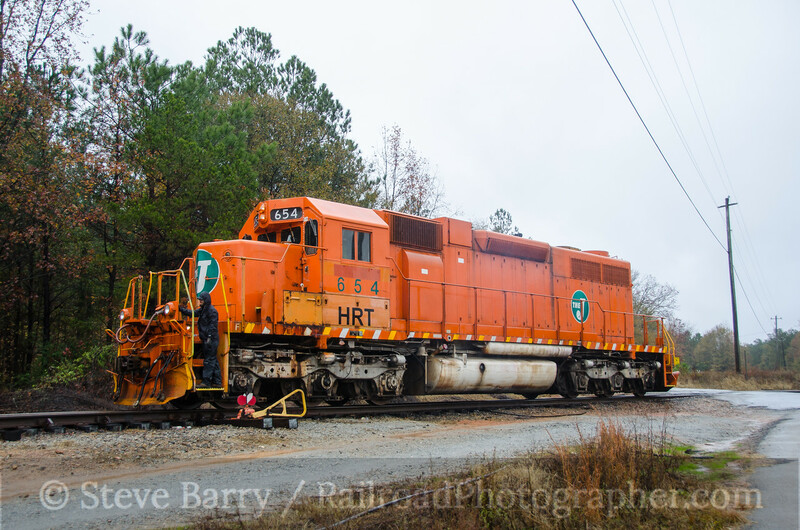 The locomotive ran around two covered hoppers and pushed them into the industry. Just north of here, another stop was made at a recycling center. 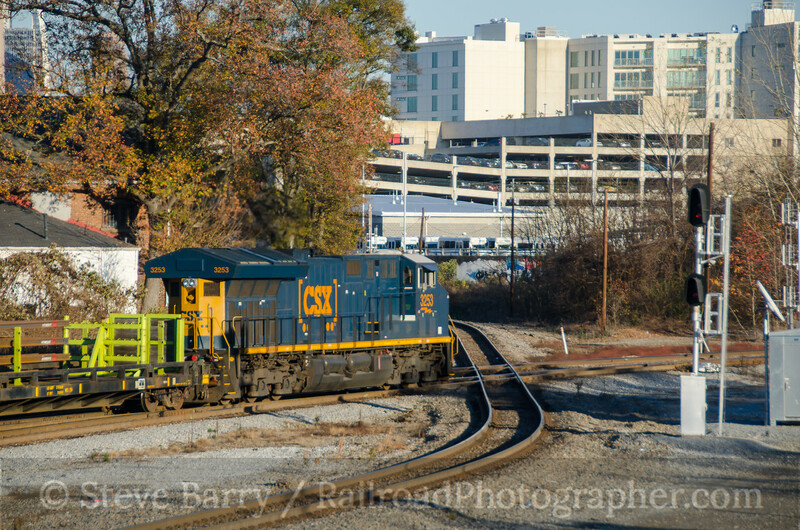 At each stop the crew spotted cars that had just come in from CSX, but left all the outbound cars for the return trip. 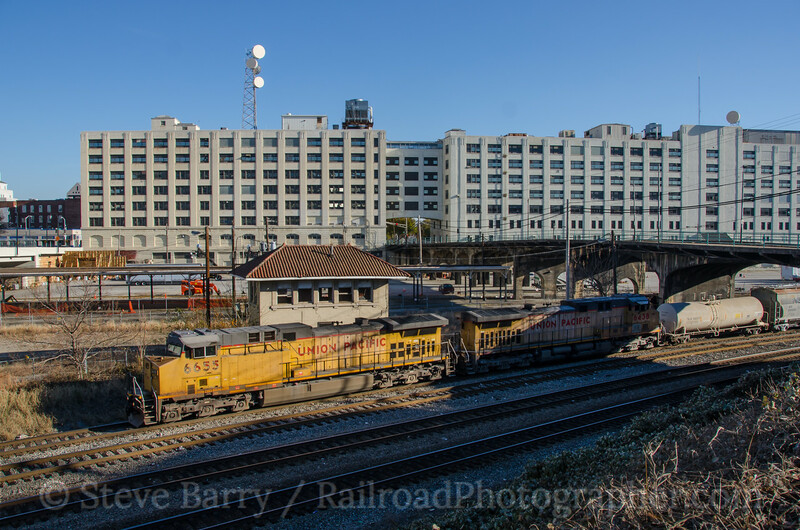 By the time the train was heading to Barre, there were only three cars left -- a boxcar and two flatcars loaded with pipe. 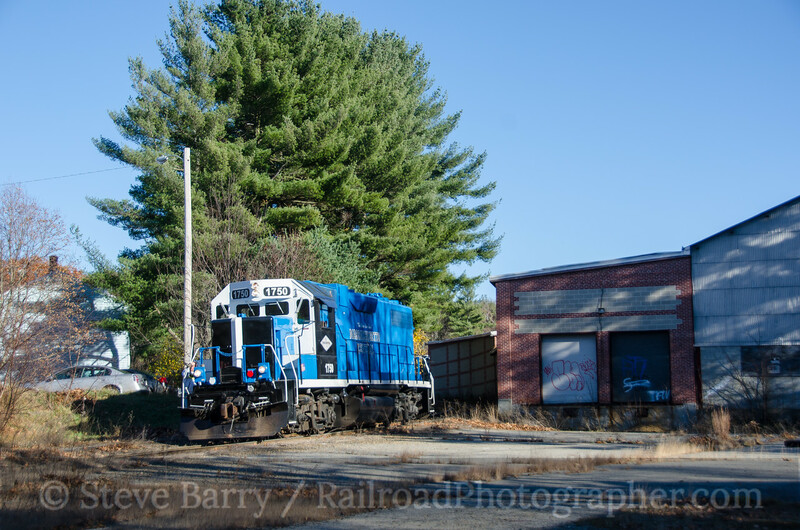 Boxcars are spotted at the old mill in Barre, while a team track is located on the other side of the mill (but on the same track as the mill). 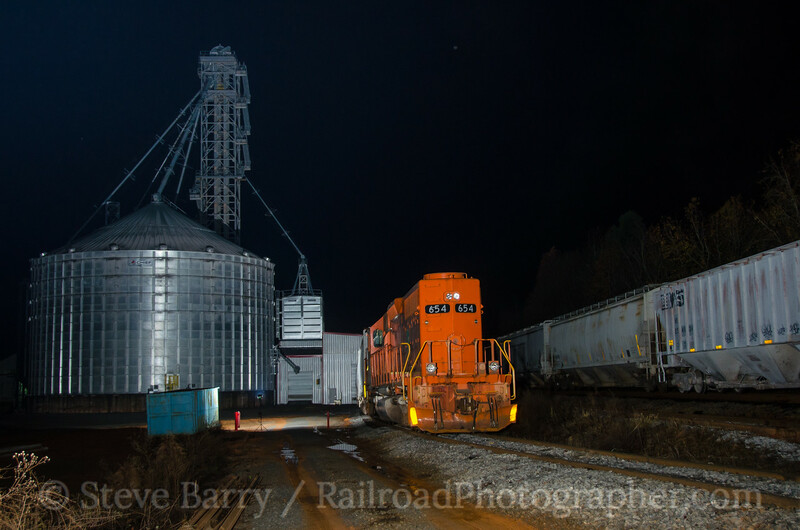 Once in Barre, the crew had to head down to the mill with just the engine to pull the cars out of the mill and team track. 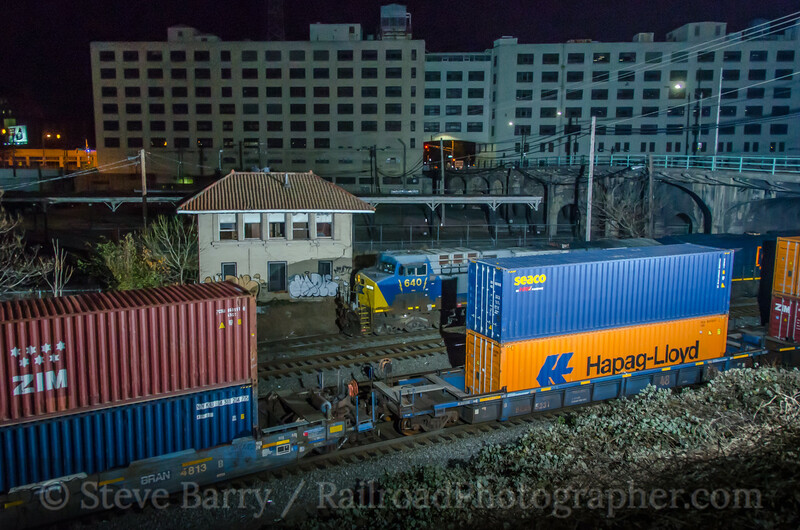 After grabbing the cars, the train headed back up the hill to the runaround track on the mainline (top photo of this post). Then the inbound cars were pushed down the hill and spotted. 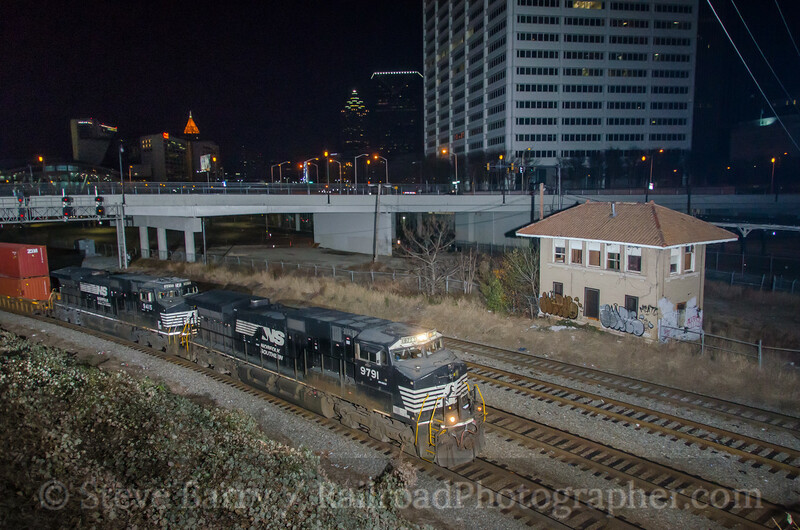 Once that was done, the locomotive returned light past the mill heading back to its train. The short winter day was quickly bringing in long shadows as the train rounded the curve and headed up the hill to the mainline. 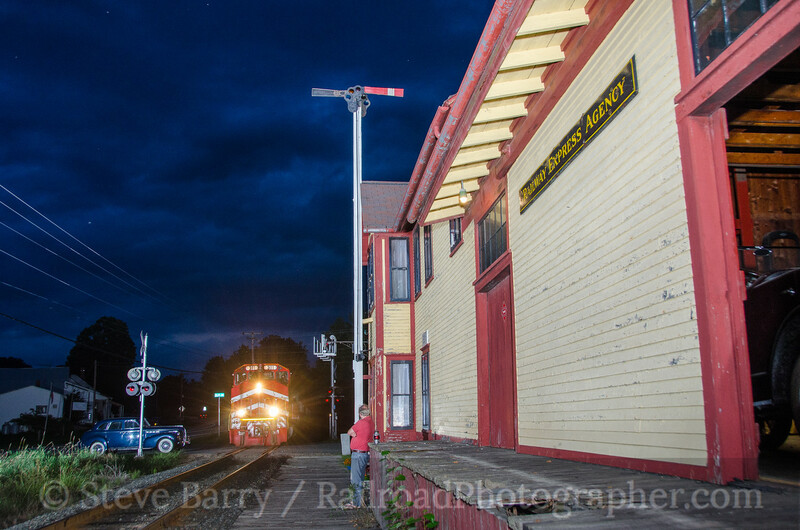 With the train back together, it was time to take the several cars that were lifted from Barre back to Palmer. 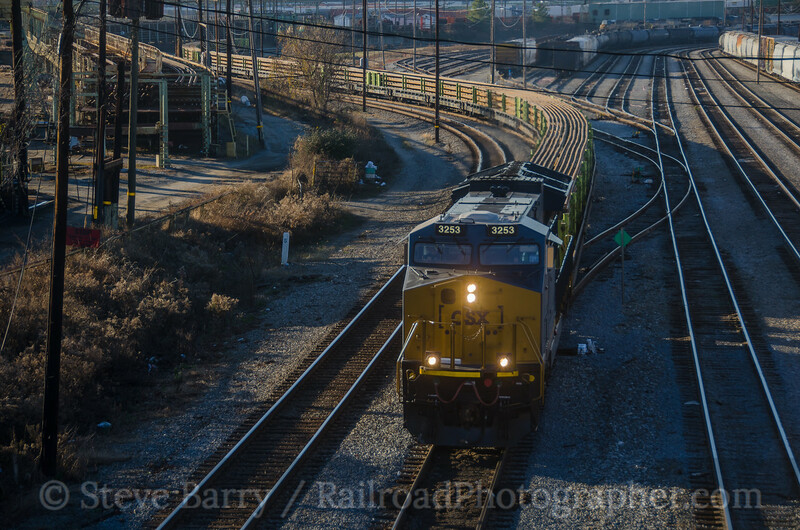 One of the few places where trees didn't block the low sun was the open crossing at Wheelwright. 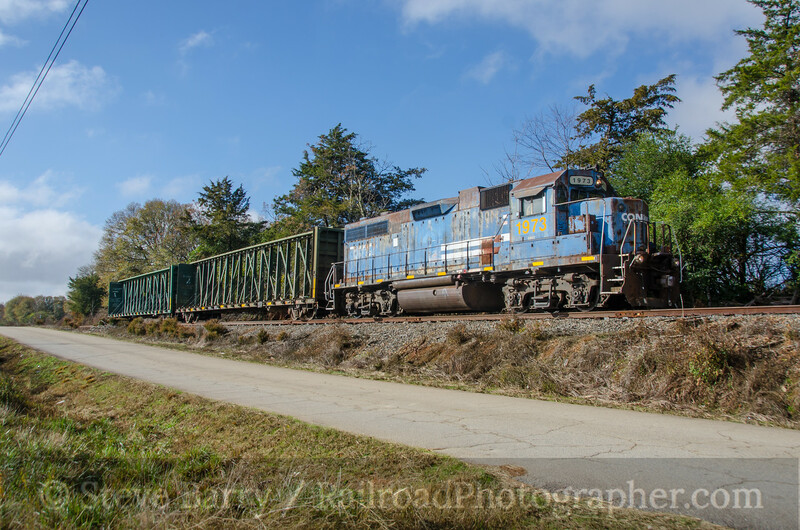 The crew paused to retrieve outbound scrap cars from the recycler north of Ware, then dropped down past the industry where they spotted plastics cars earlier in the day, heading into the very low sun. 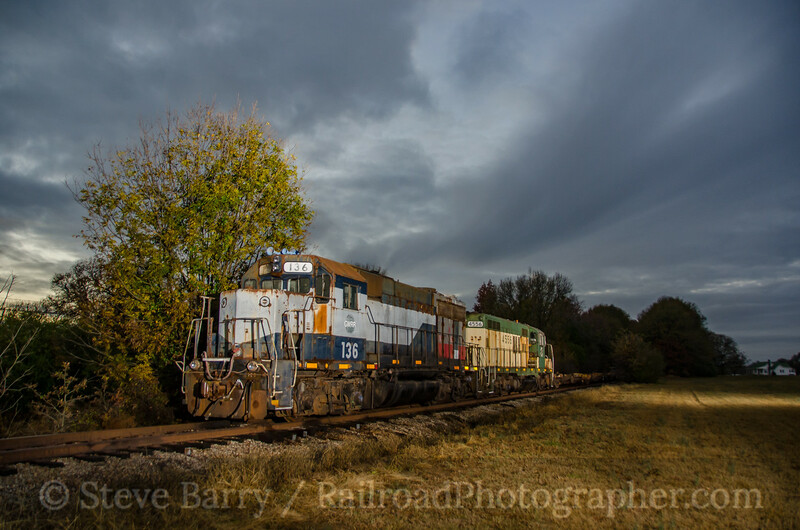 The train did not stop at Ware to pick up covered hoppers, but continued on. 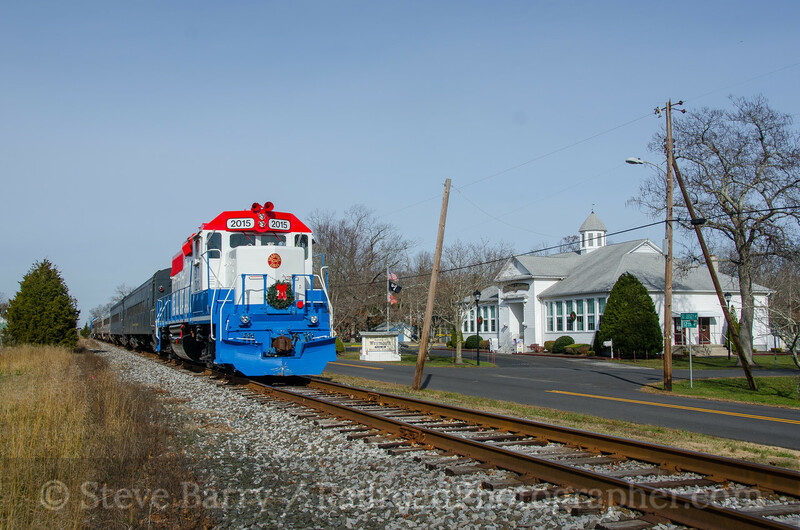 With the sun just about gone, our last shot was of the train passing through Ware. 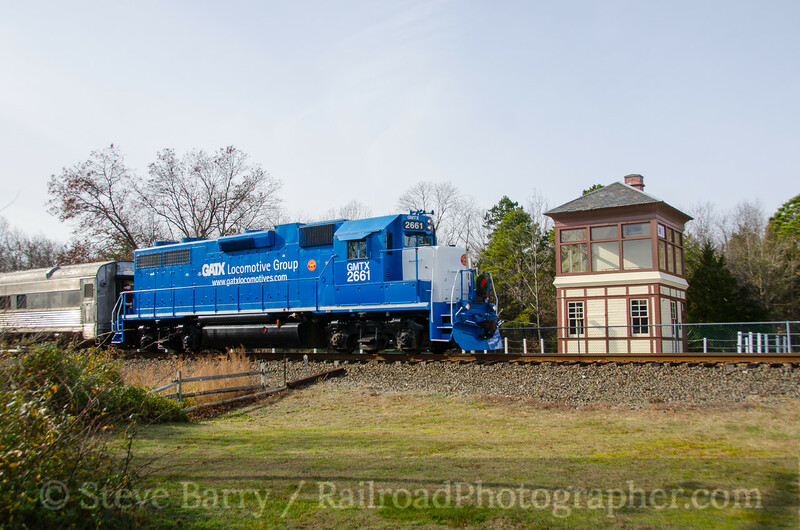 We headed back into Palmer to the railroad's shop. 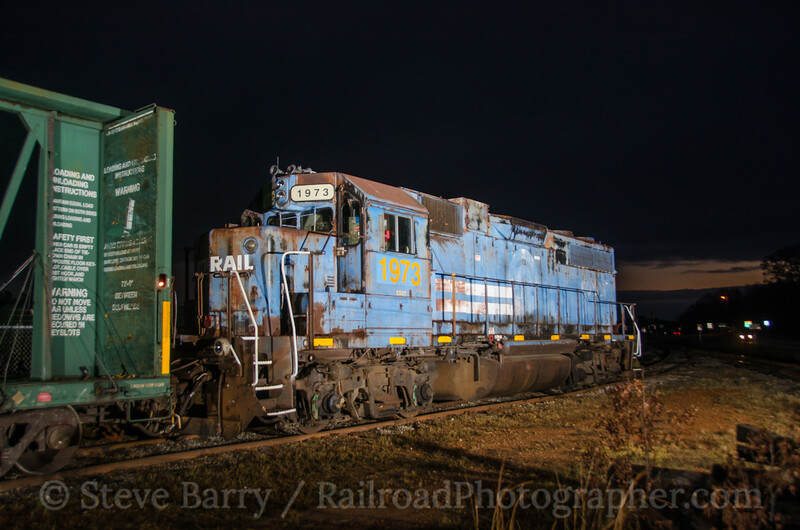 After thanking the folks in the office for their hospitality, we snapped a quick night shot of the railroad's other GP38-2, then headed for home. 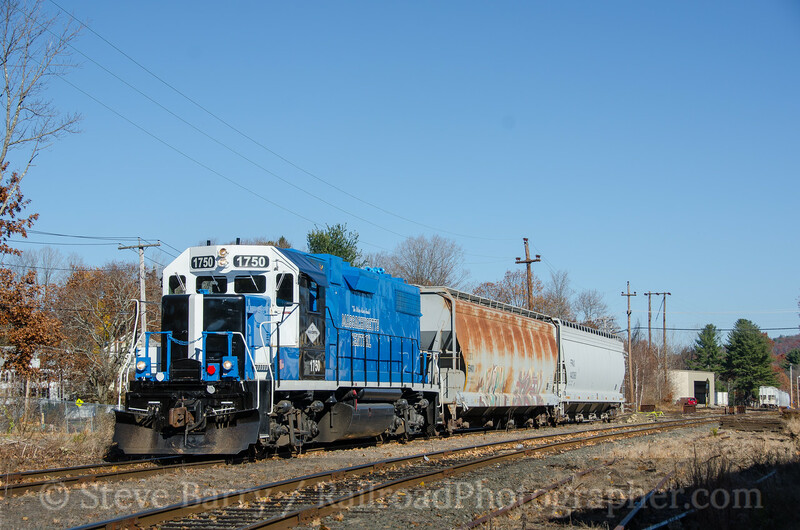 It was certainly an enjoyable day of New England shortline railroading. 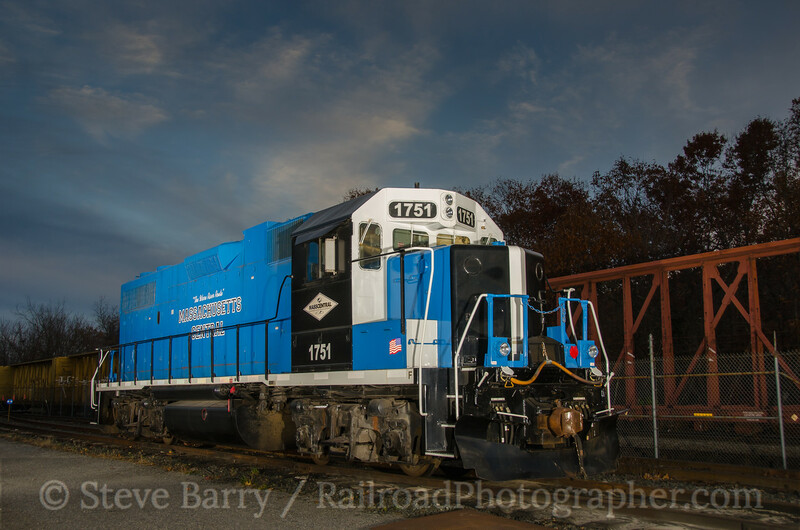 Vermont is a really neat state for railroading. 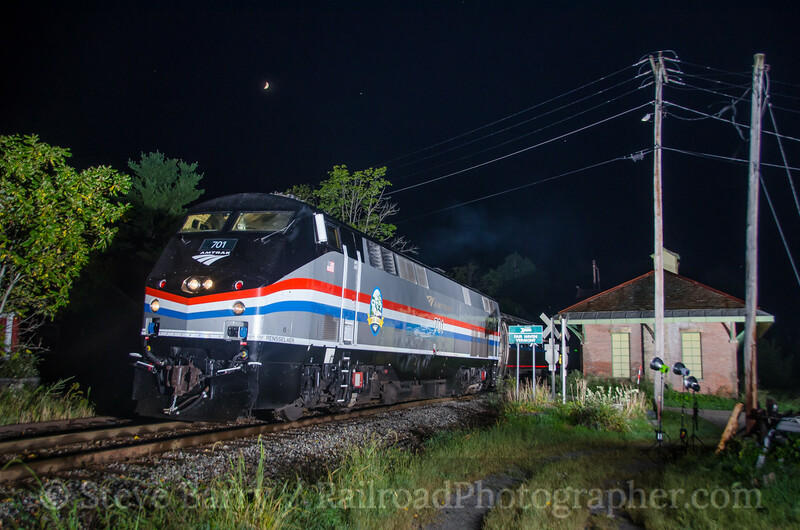 Amtrak serves both sides of the state with the Vermonter going up the west side and the Ethan Allen Express serving Rutland on the east side. 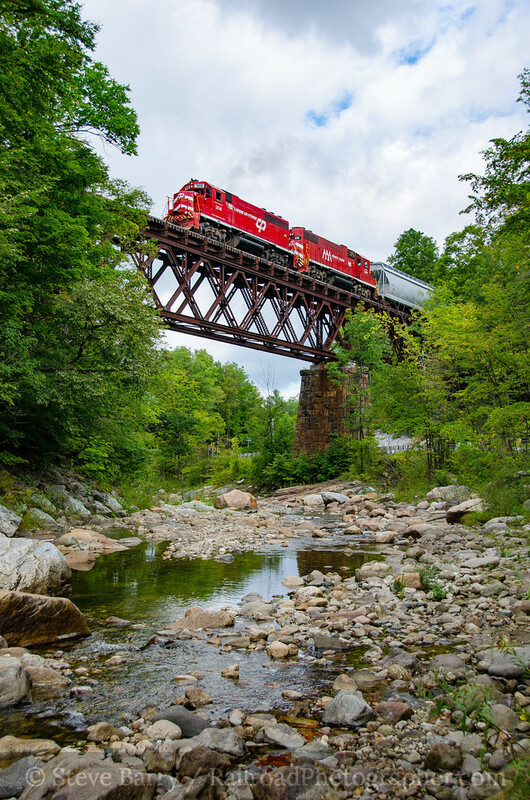 There are a few shortlines, including Vermont Rail System (Vermont Railway and Green Mountain Railroad) and Genesee & Wyoming's New England Central. 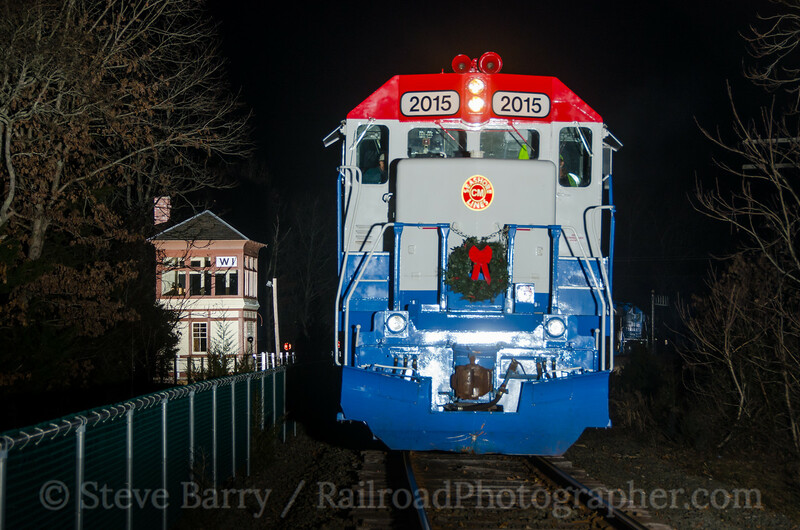 And each year railroading is celebrated in White River Junction at the Glory Days of the Railroad. It was the Glory Days celebration that got me to Vermont (and some close-by neighboring areas) back in September. 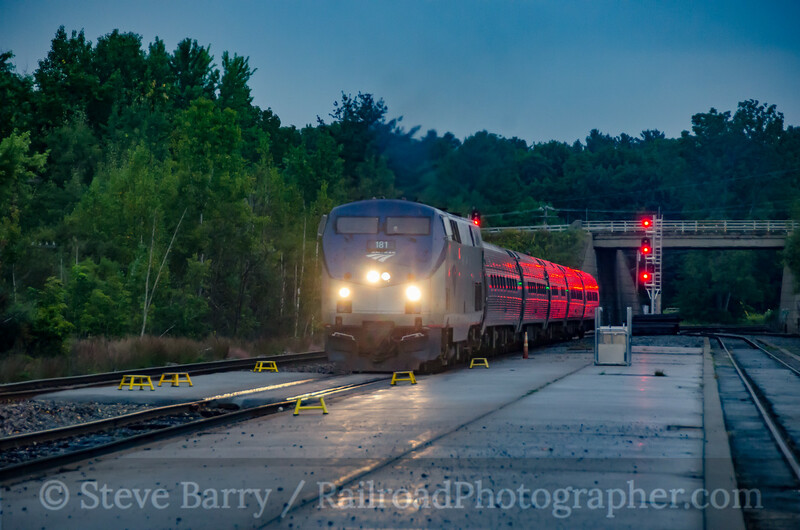 First, we paused in New York just west of the Vermont state line to see the Ethan Allen Express making its station stop at Saratoga Springs on a gloomy day. Storms would shortly move in. 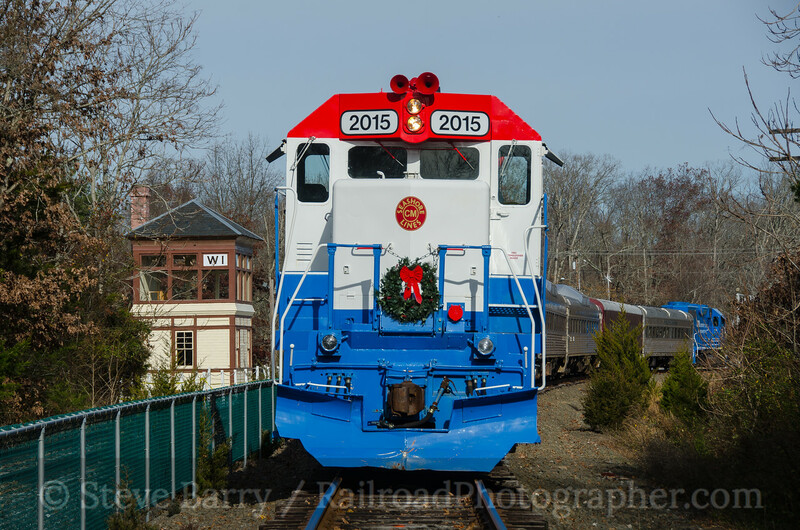 This train had left Rutland earlier in that morning. 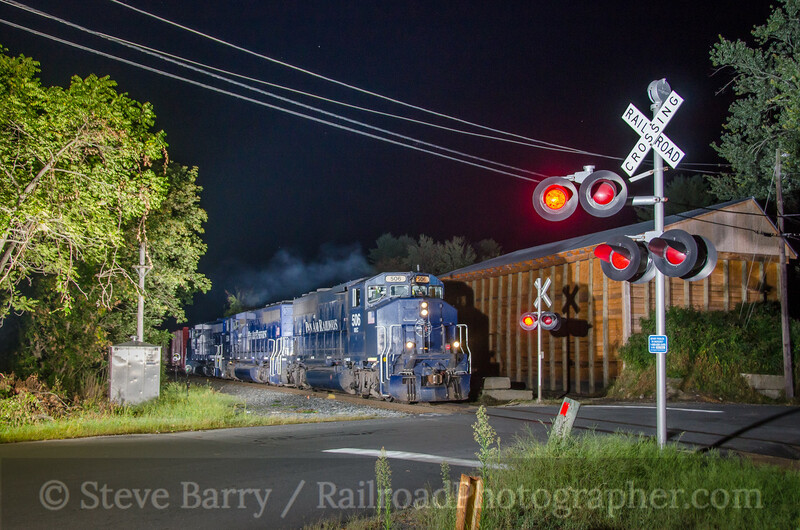 The train's counterpart, the northbound Ethan Allen Express, made its way into Vermont after dark. 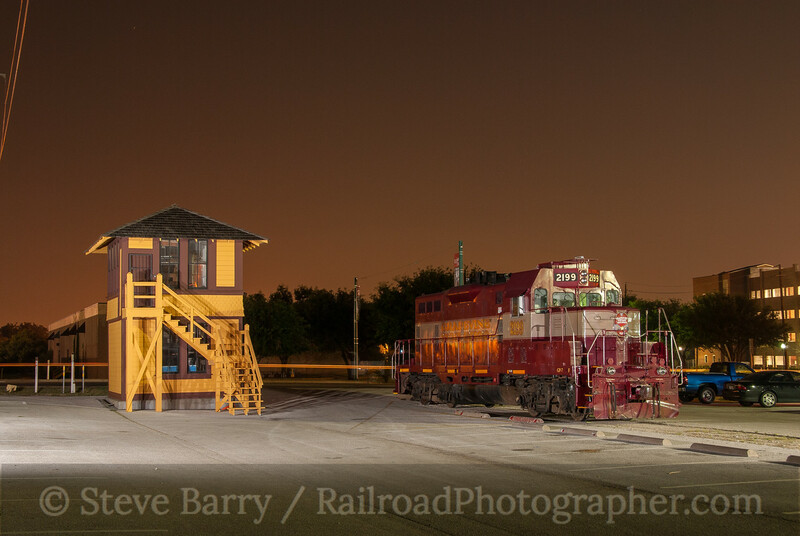 The train turns east off the former Delaware & Hudson (now Canadian Pacific) at Whitehall, N.Y. 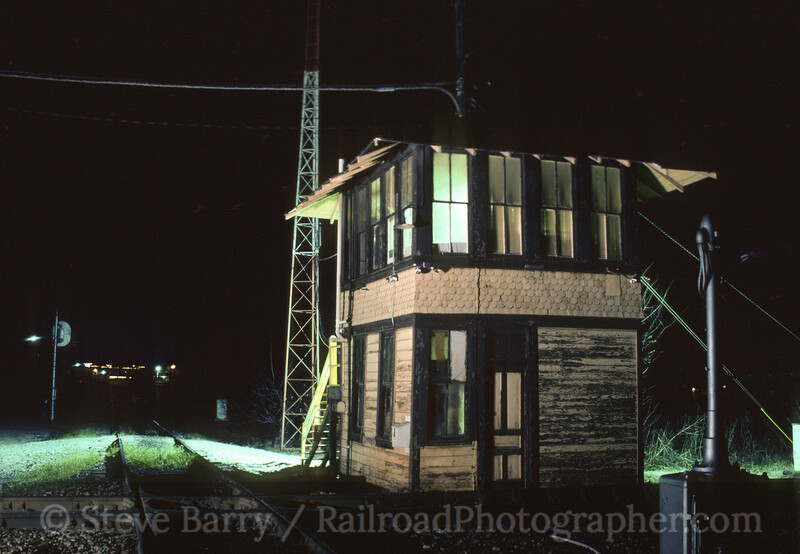 It passes through Fairview, Vt., which was at one time an Amtrak stop (below). The station structure there was never used by Amtrak; a plastic bubble served that purpose. All that's left of the Amtrak station in a green sign with Amtrak's "pointless arrow." The train would turn back the next morning, heading back to Whitehall and ultimately New York City (top photo in this post). 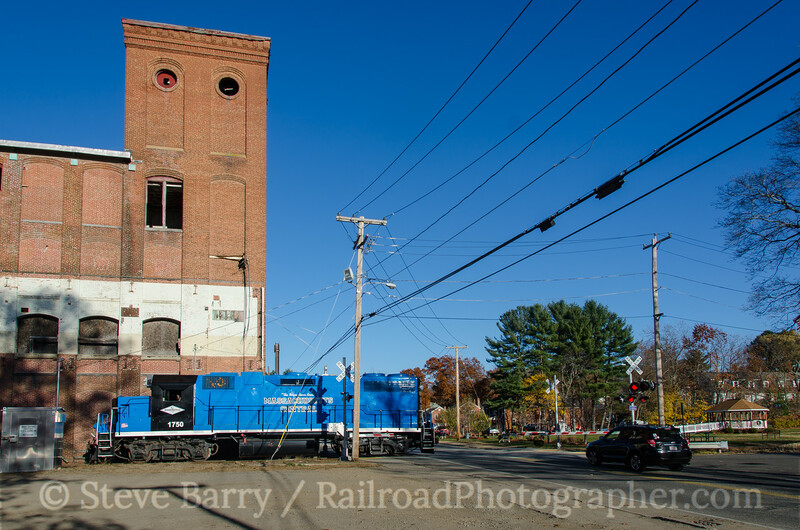 Once Amtrak is out of the way in Rutland, Vermont Rail System sends a freight out from Rutland to Whitehall. 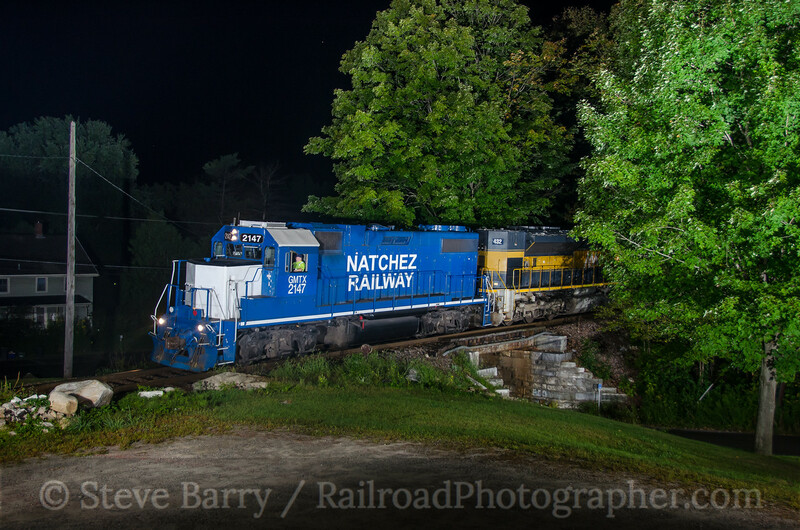 On this particular evening a leaser locomotive that obviously worked recently for the Natchez Railway led the way at the Green Mountain Baptist Church at Center Rutland. 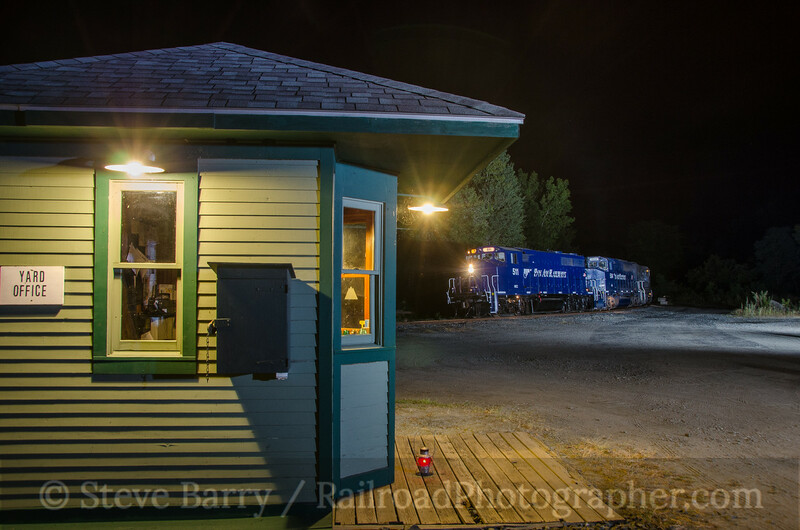 Vermont Rail System; Cuttingsville, Vt. 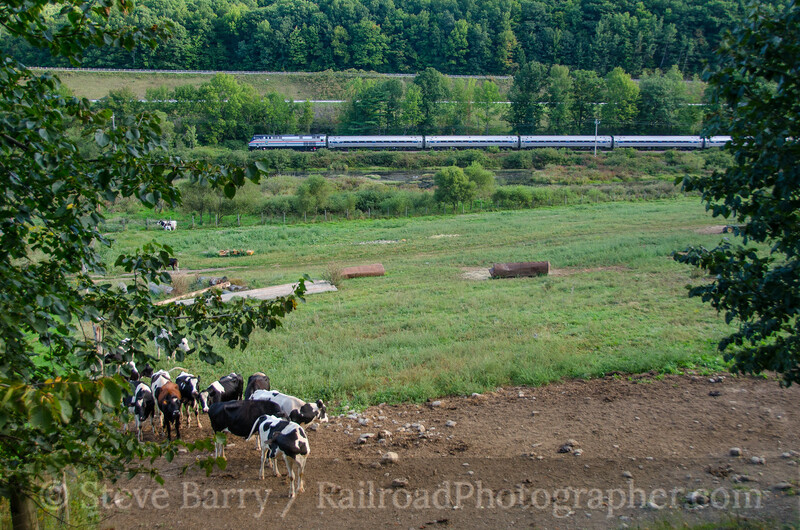 The next day Vermont Rail System sent two trains south from Rutland. 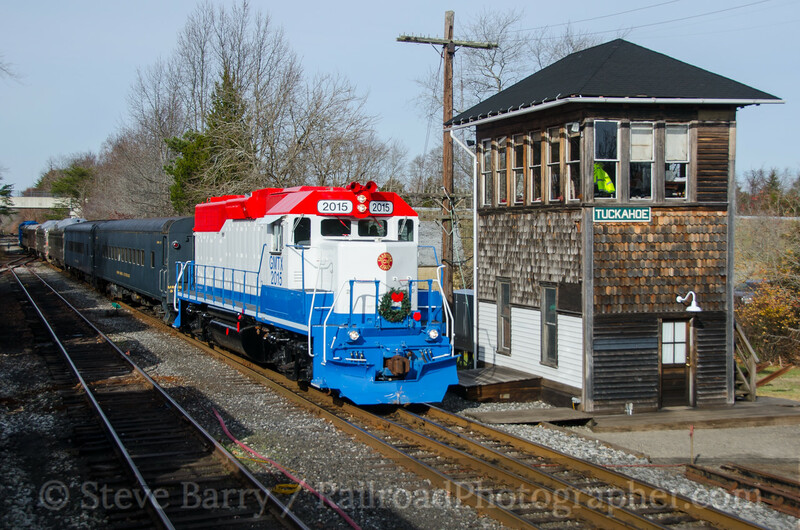 The first was destined to cover the Green Mountain Railroad side of the system, heading to Bellows Falls. 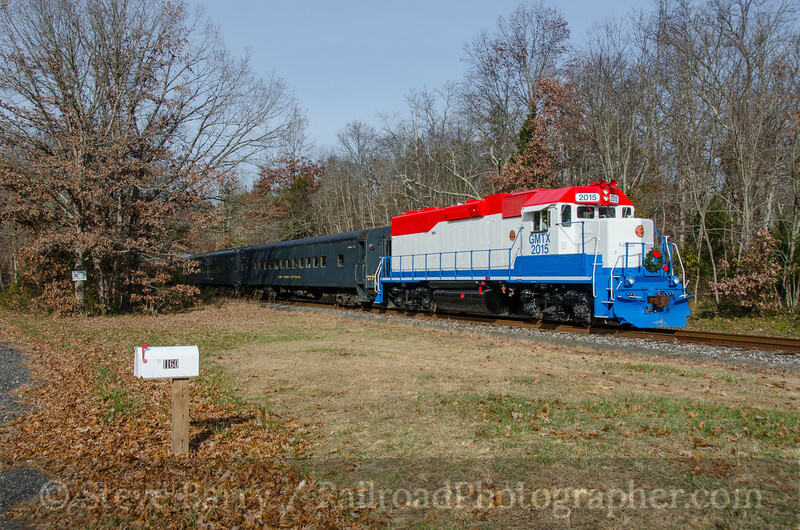 The second was destined for North Bennington, where it would interchange with Pan Am Railways. 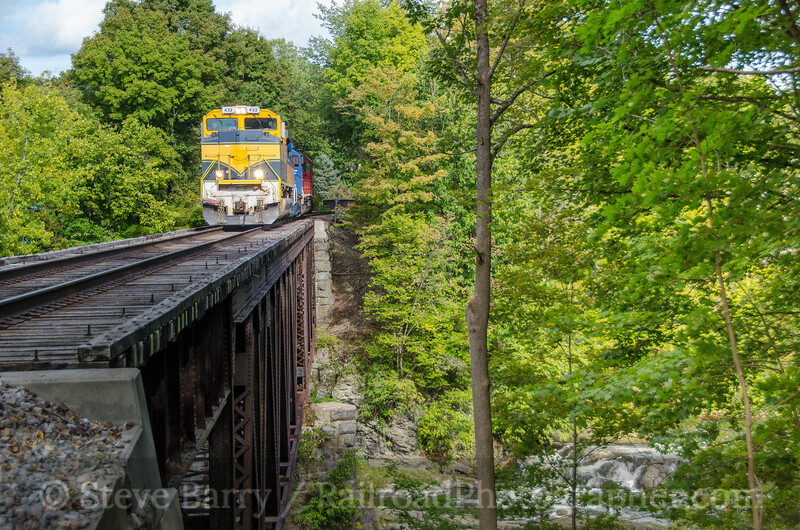 Our first catch was of the Bellows Falls-bound train crossing Cuttingsville Trestle. 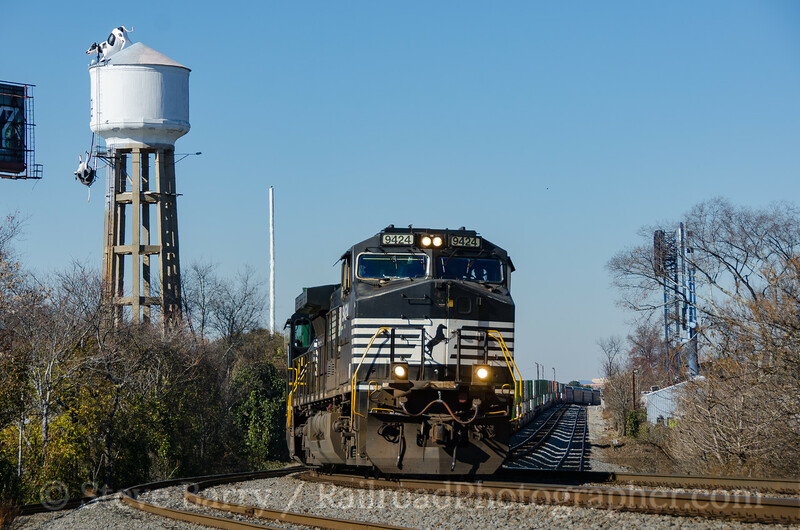 The train to North Bennington was led by SD70M-2 No. 432, which had been purchased by VRS from Florida East Coast. 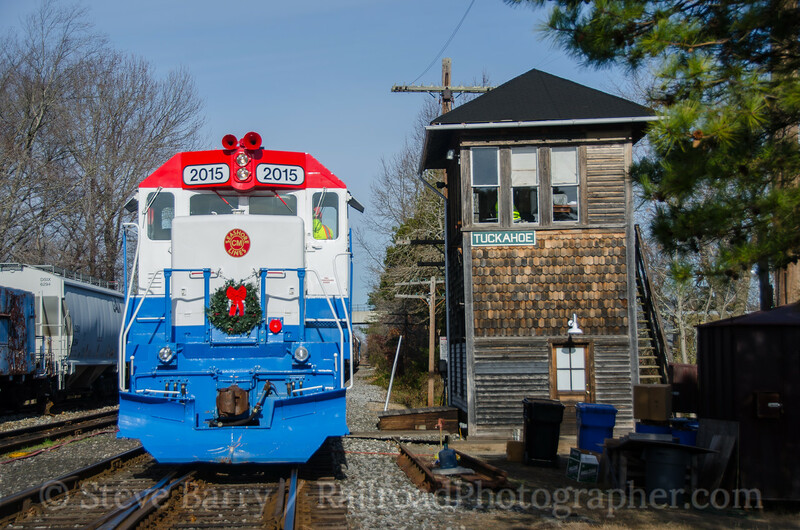 The locomotive had been pressed into service still wearing its FEC blue and yellow paint. 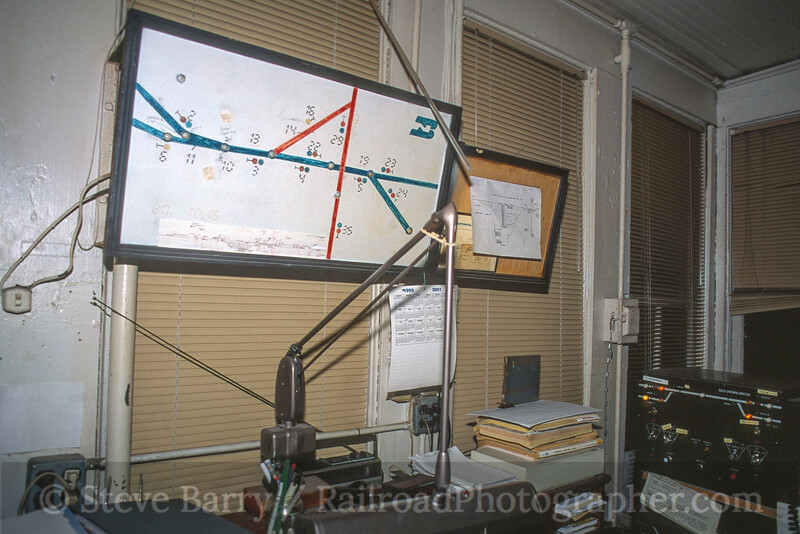 Alas, Pan Am Railways couldn't make the grade out of Hoosick Junction, N.Y., to get to North Bennington for the interchange, so the VRS train had to head south to Hoosick Junction to get its cars. 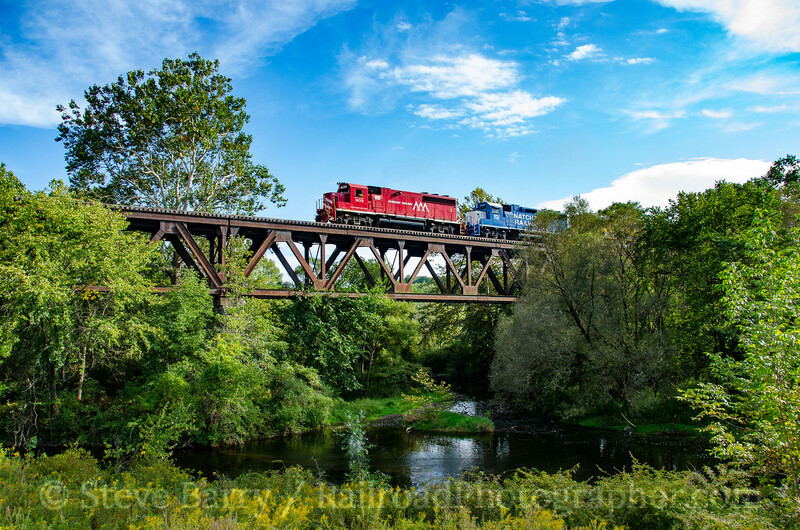 The train crossed the Walloomsac River at North Hoosick on its way there. 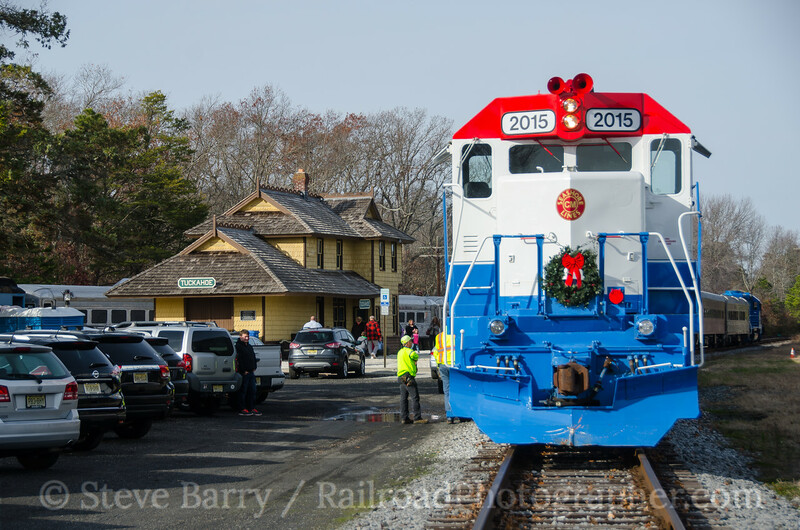 With its interchange cars in tow, the train returned back to North Bennington and ultimately on to Rutland. Once again, it crossed the Walloomsac River, this time near the small village of Walloomsac. At White River Junction, preparations were being made for the next day's event. 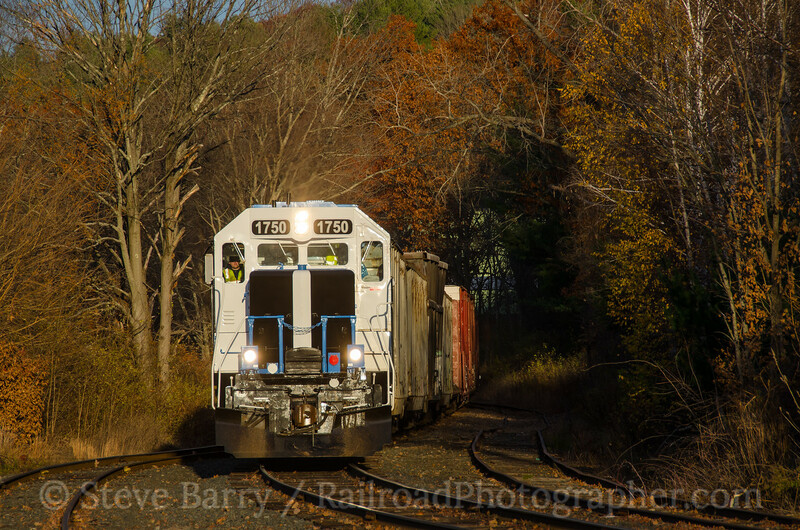 That evening, a New England Central train headed south. 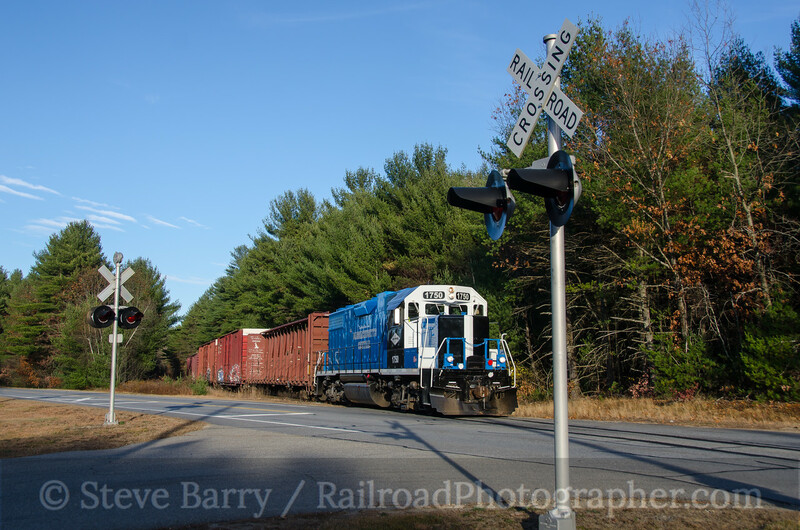 Trains going south from White River Junction to Bellows Falls have to cross into New Hampshire for a short distance. 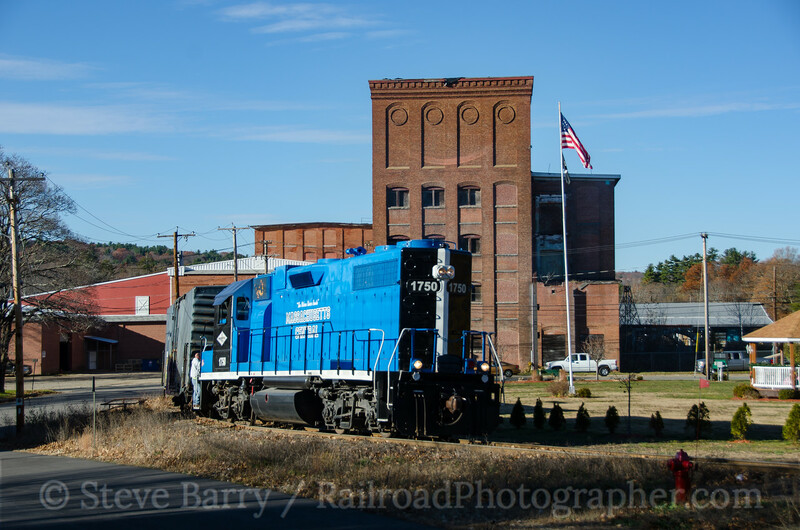 The New England Central train met a Pan Am Railways train heading north at Charlestown, N.H., just north of Bellows Falls (and once again, just a short distance from the Vermont border). 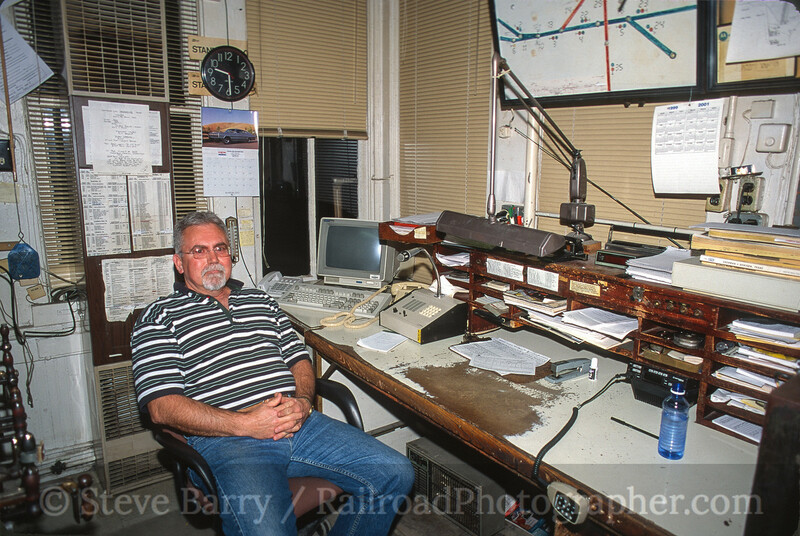 As part of the Glory Days celebration, Vermont Rail System ran a murder-mystery train from White River Junction north to Fairlee, Vt. Just south of Fairlee is the former Boston & Maine station at Ely, restored and owned by Frank Barrett. He posed one of his antique automobiles at the grade crossing just north of his station as the murder-mystery train returned. Rumor has it the butler did it. 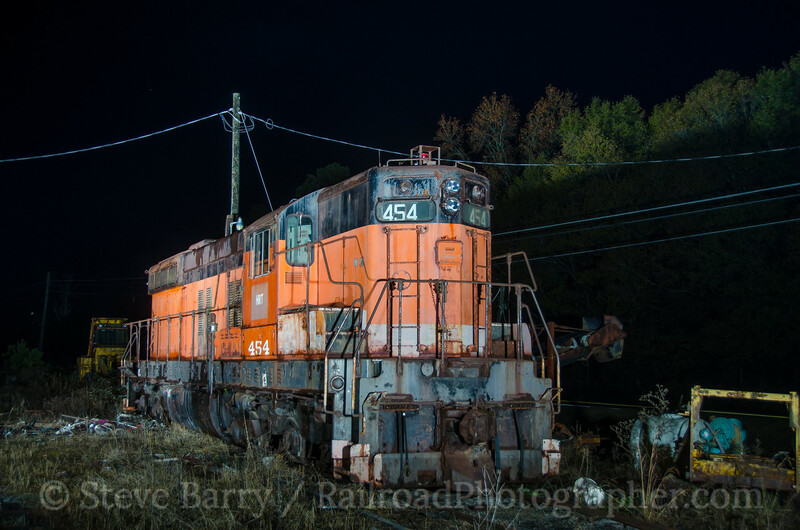 Finally, a night photo session wrapped up Glory Days of the Railroad. The session was coordinated by Kevin Burkholder. 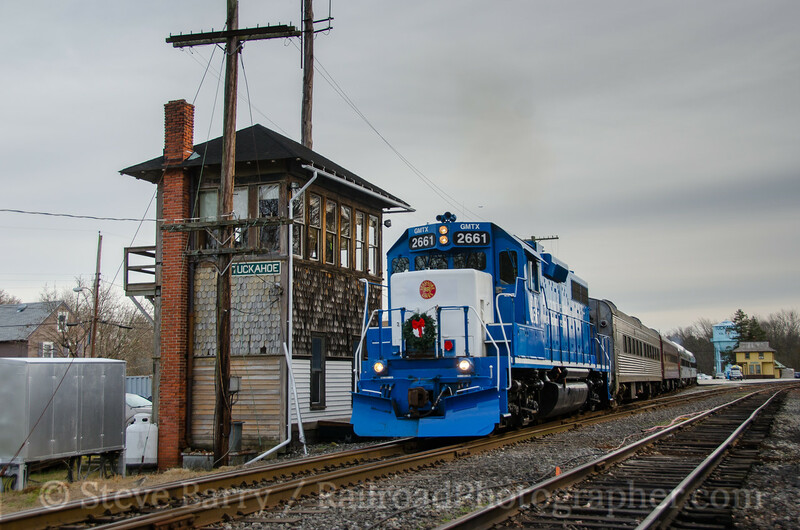 Two of the Pan Am locomotives that came up on the previous evening's train were on hand to pose by the Vermont Rail System yard office to cap off Glory Days and our visit to Vermont and the surrounding area.